Articles covering the basic tenets of Buddhism. Buddhism has thousands of sacred and teaching texts, including sutras, tantras, koan collections and more. Here's a broad overview of the major ones, including a relatively recent find that is sometimes referred to as the 'Buddhist Dead Sea Scrolls'. The Buddha taught that there are three characteristics of everything we experience in our world - impermanence, suffering or dissatisfaction, and 'no-self'. Deeply contemplating the nature of these is the foundation for wisdom, which is itself a foundation for enlightenment. This e-book covers the life story of the Buddha, Buddhist branches, scripture, major teachings, ideas about karma, rebirth, and more. It also contains several meditation techniques that you can try. The Buddhist Precepts are the core ethical guidelines for practicing Buddhists. There are core 5 Precepts adopted by both lay and monastic practitioners, and then additional Precepts added for monastics. These Precepts are guidelines for practice, not commandments. Many people associate reincarnation with Buddhism, but in fact the Buddha taught a doctrine of rebirth, not reincarnation. What is the difference, and what do the different schools of Buddhism teach about it? What is its relevance to Buddhist meditation and practice? Teachings on detachment in Buddhism are often misunderstood to mean complete detachment from pleasure or personal relationships. In fact, a true understanding of Buddhist detachment goes hand in hand with understanding compassion, and connects, rather than alienates, us. The four beneficient qualities of lovingkindness, compassion, empathetic joy, and equanimity are referred to as the Brahmaviahras or Four Immeasurables in Buddhism, and cultivating them lays the foundation for awakened mind. The Eight Worldly Concerns in Buddhism are four pairs of attachments and aversions that we experience continually in our daily lives. Through Buddhist practice we strive to unhook our happiness from this cycle, abiding in the deeper happiness that arises. 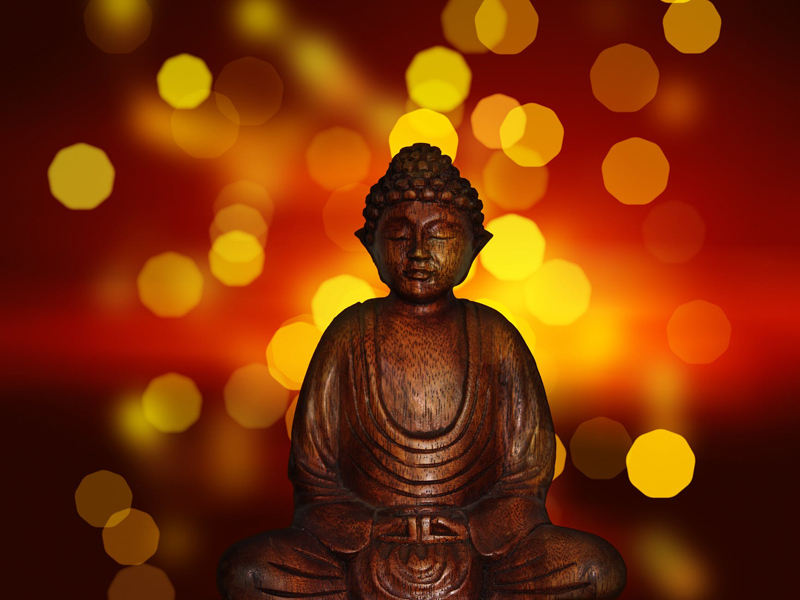 The Four Noble Truths are the Buddha's first teaching, and the foundation for Buddhism. They describe the Buddha’s realizations regarding the nature, origin, and cessation of suffering (or dukkha). But what is suffering in the Buddha’s teachings, and how can his understandings help us today? The Three Jewels or Refuges in Buddhism are the three things Buddhists look to for guidance - the Buddha, Dharma and Sangha. Learn about each of them in this article. Meditation is a central to Buddhist practice, within all the various schools and lineages. This article provides an overview of the different types.